FANTASTIC 1 STORY NEWPORT FLOORPLAN! ENJOY THE PEACEFUL EXTENDED COVERED PATIO SETTING-SOLAR HEATED WATERFALL POOL/SPA, HIGHLY UPGRADED! 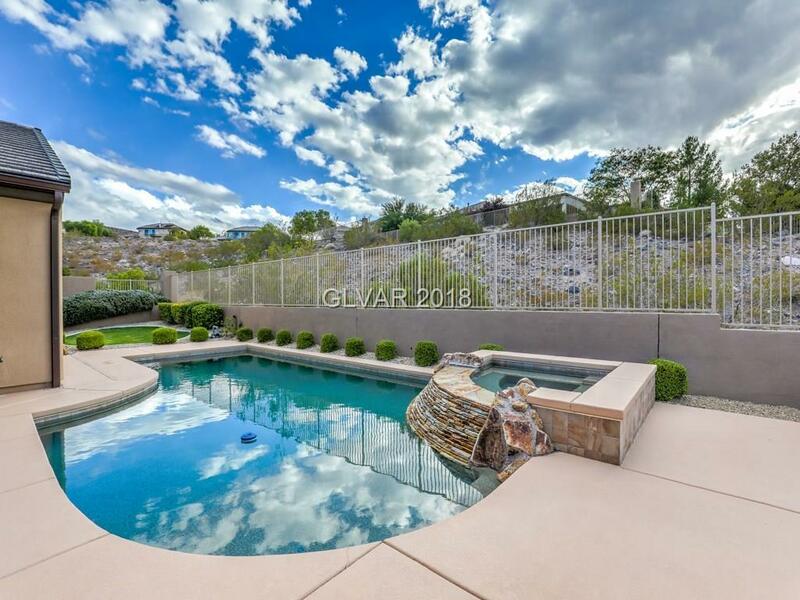 SHUTTERS, SURROUND SOUND, OVERSIZED FAMILY RM, GRANITE ISLAND KITCHEN, BUILT IN MONOGRAM REFRIG, SS APPLS, ROLLOUTS, WALKIN PANTRY, GARAGE HAS EPOXY FLOORS & CABINETS, NEW CARPET, NEW PAINT IN & OUT, MASTER HAS SLIDER DOORS TO PATIO & CUSTOM CLOSET. IMMACULATE CONDITION! BACKYARD SERENE SETTING BACKS TO A HILL!